Trip to Be Made from Fort Missoula to St. Louis. Missoula, Mont., May 19.--Lieut. J.A. Moss, Twenty-fifth infantry, Fort Missoula, who returned two days ago from Washington, D.C., will within thirty days make a trip to St. Louis, Mo., taking a bicycle corps with him, consisting of a surgeon and twenty men, four from each company stationed at Fort Missoula. The trip will be taken for the purpose of determining the advisability of the use of the bicycle in the United States army. Last year Lieut. 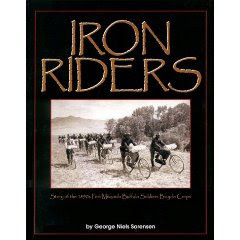 Moss and a bicycle corps made a tour of Montana, visiting Fort Assinaboine, the National park, and other points of interest, carrying tents, blankets, grub, guns and ammunition to the extent of twenty-four pounds to each bicycle besides the riders. The Spaulding army bicycle with puncture proof tires will be used. The bicycles arrived from the east today and were taken to Fort Missoula, where preparations for the trip are now in progress. Lieut. Moss, in Command, Describes the Organization and Accessories of the Detachment--The Training and Instructions--What the Soldiers Will Carry--Their Arms and Ammunition--Expect to Make the Trip in Six Weeks Each Way--The Party are all Colored Men. Not many years ago the bicycle was looked upon as a mere toy, a kind of "dandy horse," and the riders were regarded as fit subjects for pity. That time, however, is a thing of the past; the bicycle of today is a very important factor in our social and commercial life, and bids fair to figure conspicuously in the warfare of the future. France, Austria, Switzerland, England, Germany and other European powers have, of late years, devoted considerable attention to the bicycle as a machine for military purposes, resulting in its adoption as component parts of their armies. of its own--a particular field in which, under certain conditions, the one is superior to the other. The question therefore, which confronts us is: Should not a modern, up-to-date army have both, that it might avail itself of the advantages of the one or the other as the proper conditions present themselves? During the last few years a number of experiments have been made in this country by officers, both of the regular Army and the National guard--nearly all of them, however, being tests of rapidity. 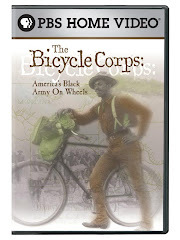 With the exception of the work done last summer by the Twenty-fifth United States Infantry Bicycle corps, little or nothing has been done in testing the wheel as a means of transportation. Although equipped with ordinary roadsters taken from the general stock, carrying our cooking utensils in a crude way, not properly equipped with frame cases, luggage carriers, etc., and not having the advantage of experience, we made one trip of 800 miles at an average rate of six miles per hour. The greater part of the distance traveled was over some of the worst roads in the United States, through mud, water, rain, snow and sand; crossing and recrossing mountain ranges and fording streams; carrying our arms, ammunition, rations, tents, blankets, extra underwear, medicines, tools, repairing material, cooking utensils and extra bicycle parts. Upon the recommendation and approval of Gen. Miles, "the patron of military cycling," the Secretary of War has granted authority for the Twenty-fifth United States infantry bicycle corps to make a trip from Fort Missoula, Mont., to St. Louis, Mo., and return, a total distance of about 3000 miles. The corps consists of one surgeon, one sergeant, two corporals, one trumpeter and sixteen privates, commanded by myself--total, 22. It is divided into two squads, with the corporals as chiefs of squad and the sergeant as acting first sergeant of the corps. The heaviest man, stripped, tips the scales at 177, and the lightest at 125 1/2, the average weight being 148 1/2. The oldest soldier is 39 1/4 years of age and the youngest 24, the average age being 27. The men, with the exception of three or four who have just learned to ride, are all cyclists of more or less experience. They have been selected on account of their knowledge of cycling and their reliability, from among the four companies at this post. Dr. James M. Kennedy, the surgeon who will accompany the expedition, is a typical South Carolinian, who entered the service four years ago. He is 32 years of age, and being one of the finest young surgeons in the army, an enthusiastic wheelman and a fine speciman of manhood, he is in every way fitted to fill his new position. We are not "training" in the ordinary acceptation of the term -- i.e., regulating the diet, abstinence from tobacco, etc. For several days in the morning and in the afternoon, we took walking exercises for an hour or more. For the last few days we have been making practice rides on our wheels, gradually increasing the distance from day to day, and starting out nearer to noon each succeeding day, in order to get accustomed to the heat. A number of lectures have been given the corps on the construction of bicycles, their care, the functions of various parts and their nomenclature. Indeed, the infantry cyclist should know as much about his bicycle as the cavalryman knows about his horse. Practical instruction is also being given in taking apart and assembling bicycles, repairing punctured tires, etc. The Corps is equipped with Spaulding military bicycles which have been especially made for the trip. The rims are of steel, the front wheels have 40 tandem spokes and the side forks and crown are extra heavy. The bicycles are all supplied with gear cases, luggage carriers, brakes and frame cases and weigh about 32 pounds (the heavy tires increase their weight considerably). Every soldier will carry one blanket, one shelter tent half and poles, one handkerchief, one knife, fork, spoon, cup and tin plate, toilet paper, tooth brush and powder. Every other man will take along one towel, one bicycle wiping cloth and one cake soap. Each chief of squad will carry one comb, one brush, and one box matches. MEDICINES, TOOLS, REPAIRING MATERIALS, ETC. The surgeon will carry a supply of medicine, case of surgical instruments, bandages, etc., the Corps will carry a complete outfit of repairing tools, oil, tire and rim cement, chain lubricant, extra tires, rims, spokes, cones, axles, pedal cranks, etc. Every soldier will carry a rifle, belt and fifty rounds of ammunition. The rifles will be slung across the back. The uniform will consist of knickerbocker canvas trousers of a dead grass color, blue gingham shirts, and the regulation blouse, campaign hat, leggings and shoes. The uniform is one of durability rather than one of looks. The blanket roll, which consists of one blanket, one shelter tent half and poles, one summer undershirt, one pair drawers, two pair socks, one handkerchief, tooth brush and powder, is carried in a luggage carrier in front of the handle bars. The roll weighs about ten pounds. The average weight of the bicycles, packed, will be about 55 pounds. As the object of the trip is to test most thoroughly the bicycles as a means of transportation for troops, the route should be long and the geography of the country of such a nature as to afford all possible conditions. By selecting St. Louis as our objective, we have a long route with high and low altitudes; stoney roads of mountains; the hummoc earth roads of South Dakota; the sandy roads of Nebraska and the clay roads of Missouri. We are going to practically follow the Northern Pacific as far as Billings, Montana and the Burlington the rest of the way. The soldiers who compose the Corps were selected from among 40 volunteers, and are bubbling over with enthusiasm. They are all colored men and about as fine a looking and well-disciplined lot as could be found anywhere in the United States Army. They take pride in the uniform, are respectful, obedient, and have implicit faith in their white officers. This last fact is well illustrated by an incident that happened last summer while we were going through Yellowstone Park on our bicycles. A member of the Corps upon whose face the map of Africa is most unquestionably stamped; was lazily sitting against a tree smoking his pipe and with one eye closed and the other half opened was amusing himself making smoke rings. A tourist who came strolling along asked him, "Where do you expect to go today?" To which he answered, "De Lawd only knows-- we're following de Lieutenant!" "A trying test of the durability of the bicycle is about to be made, which, if successful, will undoubtedly push up the stock a peg higher. By order of General Miles, Lieutenant James A. Moss, in command of twenty soldiers, will start about June 1 from Fort Missoula to ride on bicycles to St. Louis, nearly 2,000 miles across the roughest, rockiest country in the United States, for the trip means crossing the main divide of the Rocky mountains. Careful preparations are now being made for the trip. Lieutenant Moss' report to the war department will be used as a basis for deciding whether it would be advisable to form a bicycle corps as a feature of the army." Great information, thank you for your effort, sorry I missed you in Missoula. I just today 8/22/10 found out about your adventure. Did you happen to make it into the Bicycle Hangar in Missoula? My Great Great Uncle had the bicycle Shop that helped to supply these guys in 1897 in Missoula (Yankee Repair in Missoula). This is great, I have not seen all of this together in one place. Just a little here and there. I did go into a Missoula bike shop to get some tubes before my ride but I wasn't paying much attention and can't say if it was the Hangar or not. I'd love to hear more about your Great Great Uncle's experience with the Corps. Can you send me anything?